And he was so careful as he was counting out all the pieces but...still we ended up with more blades than we needed. 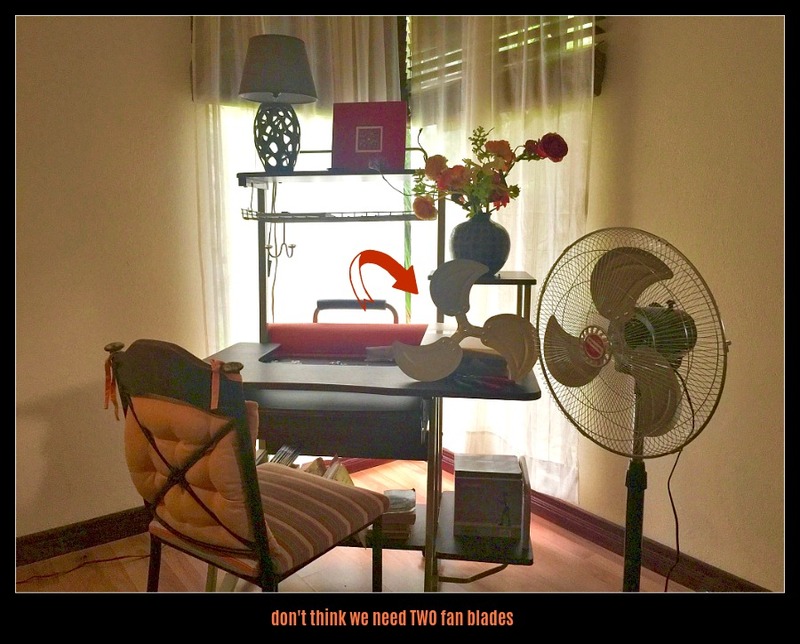 I wonder if the 2nd fan even has a blade now? Guess we'll be making a trip back to town to give the extra one back. Gotta love it here! That's Costa Rica! Gotta factor all of this in if you plan to move here. It's simple, but it's different! !